Dsuvia: Is the Benefit Worth the Risk? Given the ongoing opioid epidemic that the U.S. still hasn’t found its way out of, creating a more powerful version of a synthetic opioid that is killing thousands may not seem like the best course of action. Despite the misgivings of many, the FDA has approved Dsuvia (sufentanil), a drug that is 10 times more potent than fentanyl. What Is the Danger of Dsuvia? You may recognize fentanyl from the news. It is a synthetic opioid that has been contaminating and sold under the guise of other opioids. 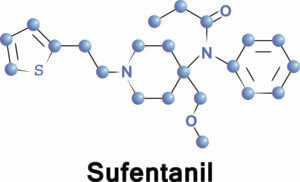 However, fentanyl is 100 times more potent than morphine, and 50 to 80 times more potent than heroin. This means that people taking fentanyl without their knowledge are more likely to overdose. In fact, many people are attributing the unknowing distribution of fentanyl to the recent explosion in opioid overdoses across the country, There were more than 130 overdose-related deaths a day in 2017 in the United States. The current opioid epidemic that is sweeping the country is largely due to the careless prescribing and marketing of potent prescription opioids, like OxyContin. These prescriptions are potent and people who used them, even for two weeks, were becoming addicted. Now, multiple states are filing suits against the pharmaceutical companies that pushed out their opioids with little regard for the consequences. With the FDA approving Dsuvia, it is possible that we may see even more people suffering from addiction. In fact, many who suffer from heroin addiction were initially given a prescription, and people who take a prescription opioid are 40 times more likely to develop an addiction to an illicit opioid. The creator of Dsuvia, AcelRx, defended the need of their new product by bringing up the needs of the military. However, their defense was less for the new opioid and more for its applicator, a plastic cartridge that dispenses Dsuvia as a thin sheet of paper under the tongue. This, of course, is also an issue for the many veterans who are already more likely to suffer from an addiction. In regard to the safety of Dsuvia, AcelRx is relying on a set of safety procedures for its use, rather than taking the responsibility themselves. DSUVIA will not be available in retail pharmacies or for outpatient use. DSUVIA will only be distributed to health care settings certified in the DSUVIA Risk Evaluation and Mitigation Strategy (REMS) program following attestation by an authorized representative that the healthcare setting will comply with appropriate dispensing and use restrictions of DSUVIA. These restrictions that are in places are problematic. One, it is only taking into account a system where everyone will adhere to these guidelines. While it is unfortunate, we are in a world where we need to be prepared for the worst-case scenario, and that this medication could be diverted from the hospitals to the street. Two, it doesn’t take into consideration the addictive potential of the drug in the hospital setting. Opioids’ naturally addictive quality means that people can become easily addicted to them, even when taken as prescribed. There isn’t a difference in a hospital setting versus taking the medication home. Many doctors will even know that they need to wean their patients off of certain painkillers they may be taking, due to the fact that they could start experiencing withdrawal. Overall, the approval of Dsuvia raises new questions and concerns about the current opioid crisis. While legislation just took some historic, bipartisan action against the crisis, it seems like we may be further from a solution than we once thought. If you or someone you love out there need help, then please reach out to a dedicated treatment specialist. They are available to answer any questions you may have, and direct you to the best treatment possible.